So, How Many Crib Sheets Should I Buy? So, How Many Should I Buy? No matter what﻿ kind of crib you have, you’re going to need this. Like most of the products on the market (which can be overwhelming if you don’t know what you’re looking for), you need to know which ones to pick and which to skip. Because let’s face it, even sheets aren't the same. Think about it, you wouldn’t buy blankets or mattresses which you wouldn’t feel comfortable sleeping. The same thing goes for the little one. Particularly during the first few weeks, they will sleep most of the time, and you don’t want any disturbance. Also, you’d hate it if they wake up irritable and restless. There are two kinds: fitted and non-fitted sheets. The former contains elastic which makes it easy to secure and also fits snugly on the mattress, thus the name. The latter is the regular kind, similar to the adult sheets you use. The right choice here is pretty obvious: the fitted sheet because there’s less likelihood that it will loosen and trap your baby, or worse suffocate them. 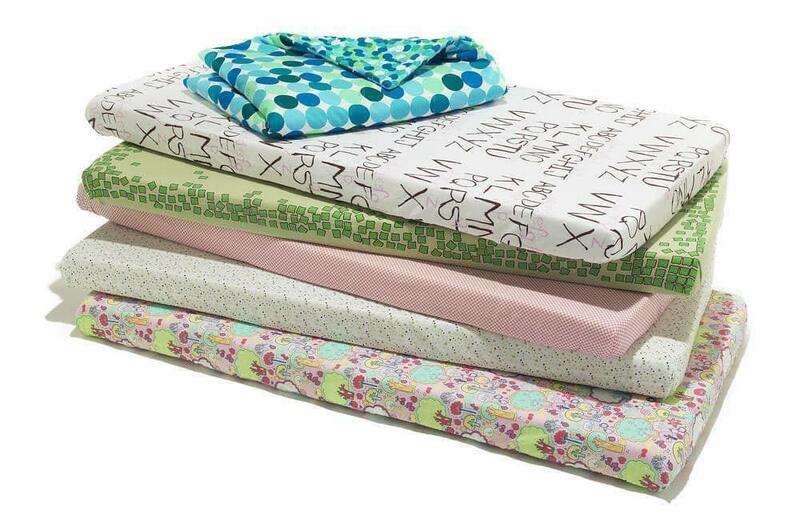 Always choose the fitted sheet which perfectly fits your little one's mattress. This is chemical-free and is suitable for babies, even those who don’t have sensitive skin. When washing it, make sure you use a detergent specifically made for infants, not your regular one – this is to avoid dyes, fragrances and harmful chemicals which might come in contact with your child. This type of fabric is breathable and soft. It keeps the infant cool during warm weather and helps warm the body during colder days. Cotton crib sheets are also hypoallergenic (which makes it ideal for babies with sensitive skin), easy to wash and extremely durable. The only downside to it is because of its softness; it wrinkles easily. This one is soft and plush – very comfortable for the babies. It’s relatively thicker than cotton, but the thing is, it retains heat. Therefore, it’s ideal for places with cold weather because it might increase the temperature if it gets too hot. The weave is durable, and it’s highly elastic. This is perhaps the most suitable choice during winter. But because it keeps the infant toasty, it should be avoided during warmer days. If you’re on a tight budget, go for at least THREE or FOUR. This way, you always have a spare one whenever there are accidents such as the baby wetting the mattress, or there are spills of any kind (worst case scenario is a total diaper blow out). They could also drool or sweat and you will find yourself cleaning the sheet every other day. I had three when I gave birth because I wanted extra sheets just in case I didn’t have time to do laundry and it piles up. But the thing is, the ideal number is around 8-10. However, this is variable. If you find your baby not sweating, or drooling too much, then there’s no need to go beyond five. I know how tempting it is to buy sets of everything – one that includes crib sheets, quilts, blankets, bumpers, mats and skirts. But keep in mind that manufacturers will most likely choose products which are cheapest so they can bundle them in sets. They’re not exactly going to go for those with high quality. To ensure you get the best of something, pick a separate item instead. Remember, there are things you should save on, but a crib sheet shouldn’t be one of them. 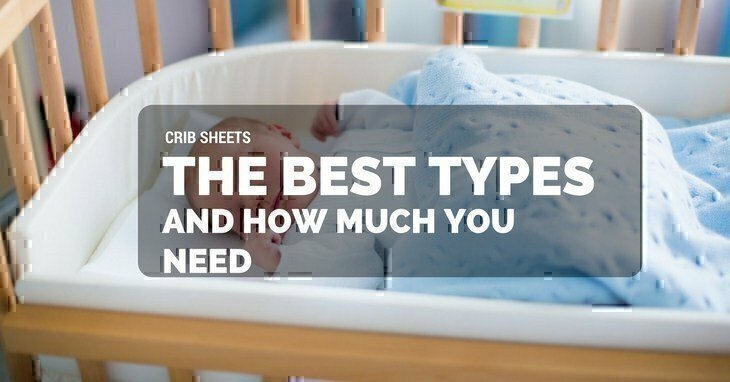 You shouldn’t go cheap when it comes to crib sheets and when faced with numerous choices, always keep in mind that fitted sheet has more advantages over non-fitted ones and it includes the safety of your child. There have been cases of suffocation when they get wrapped because the sheet doesn’t fit snugly on the mattress. If you’re shopping early, you can only buy the minimum which is three. You can just add later. But I don’t suggest buying only two since there’s high probability of soiling the sheet and when it needs to get washed, you should always have a spare in hand.